EU calls on member states to apply working definition of anti-Semitism of he the International Holocaust Remembrance Alliance. JTA - The European Parliament voted to adopt a resolution calling on member states and their institutions to apply the working definition of anti-Semitism of the International Holocaust Remembrance Alliance. The vote was taken on Thursday. Most of the 28 European Union states participate in the International Holocaust Remembrance Alliance, however, only Austria, Romania and the United Kingdom have formally adopted the definition. 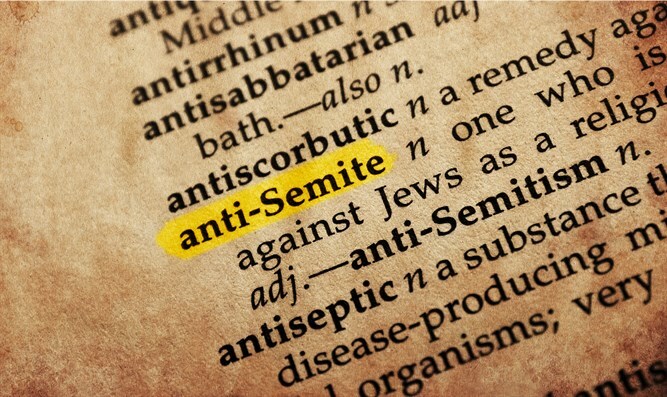 The European Parliament resolution passed on Thursday calls on member states to protect their Jewish citizens and Jewish institutions from hate crime and hate speech, to support law enforcement efforts to identify and prosecute anti-Semitic attacks, to appoint national coordinators on combating anti-Semitism, systematically and publicly condemn anti-Semitic statements, to promote education about the Holocaust in schools, and to review schoolbooks regarding content related to Jewish history and contemporary Jewish life. “Anti-Semitism is the oldest form of ethnic and religious hatred, and we need binding criteria for measuring it. This resolution must now be speedily implemented by all member states and by the EU institutions. It is critical that all countries apply the same criteria when it comes to dealing with hatred of Jews,” World Jewish Congress President Ronald Lauder said in a statement following the vote. “The only people who will be dismayed by this decision are those who wish to continue the culture of anti-Semitic impunity and who believe that Jews should not be afforded protection under the law,” he also said.